Kingpin, also known as K|NGP|N, better known as Vince Lucido, is a name synonymous with extreme overclocking and cooling. Vince started overclocking, about 12 years ago in 2003, as a way to play the latest games on his existing hardware. But as he progressed, gaming soon took a sideline to what was quickly becoming a passion, overclocking. The Detroit local started accumulating a number of overclocking world records across various categories; CPU, GPU and multi GPU categories. Needless to say it wasn’t long before overclocking friendly companies stopped to take notice of Vince’s talents. Evga invited Vince to join their team in Taiwan, and assist the company in producing a line of products that would bear the name that had become synonymous with overclocking, Kingpin, beginning with the GTX 780TI Kingpin Edition. Respecting the results of the first launched Kingpin edition card, brings us to the launch of Kingpins’ second signature edition GPU from EVGA, the ‘EVGA GeForce GTX 980 K|NGP|N edition. So far, the clock speeds and memory frequencies are yet to be determined, however what we do know is that the card will feature a 14+3 phase power design, powered by 2 – 8pin + 1 – 6 pin pci-e connectors, and will have a digitally controlled VRM which can deliver up to 600A of current! 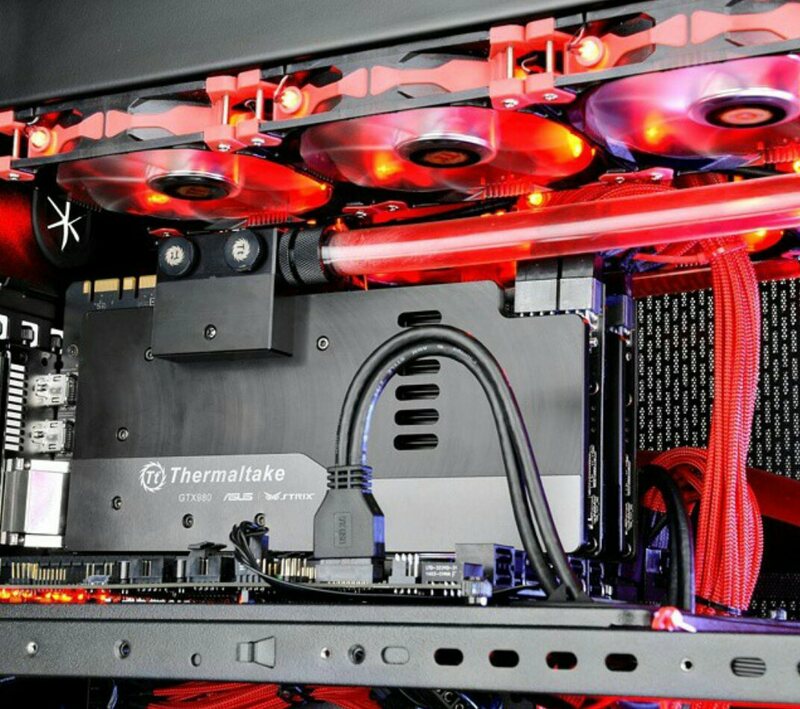 The card is kept cool by a meaty ACX 2.0 cooling system which is neatly concealed below a metal cooling shroud. EVGA has also fine-tuned the cooling performance, making it possible for the GTX 980 K|NGP|N edition to run purely on passive cooling when below 60 degrees Celsius, allowing for a totally silent experience. EVGA has also equipped the GTX 980 K|NGP|N edition graphics card with an aesthetically appealing set of memory and mosfets cooling plates (Mmcp+). Not only does the Mmcp+ help to disperse excess heat, but being as its two separate plates, the GPU can be cooled individually (say via a LN2 Pot), while still being able to cool the mosfets. Another excellent feature of the GTX 980 K|NGP|N edition is the capability to use a single slot PCI-E bracket (Included). This will make single slot watercooling, extremely simple, especially being that the card comes standard with a supportive LED backlit back plate. Another nice aesthetic touch is that all the LED lights on both the shroud, as well as under the back plate are RGB, allowing the user to change the LED colors to match any system via EVGA’s Precision X software. No K|NGP|N signature product would be complete without some nice overclocking features. The GTX 980 K|NGP|N edition has on board thermal sensors, for accurate real time temperature monitoring and a triple bios, including both normal and OC modes as well as the ever popular LN2 mode. The EVGA GeForce GTX 980 K|NGP|N edition has been developed by the best of the best, not only to be a high end gaming card, but also to provide the overclocking enthusiast an edge when it comes to laying down some heavy duty benchmark scores, in a multitude of cooling situations. EVGA is offering the GeForce GTX 980 K|NGP|N edition exclusively to existing EVGA product owners starting February 1st 2015 at a cost of $749.99.